The motor goes up to half throttle without problems. When you apply more throttle the motor will stop and the motor will start againg after you have got the throttle down to zero and slowly up again. Reasons might be two as i know. 1 - the current to the motor is higher than allowed and the speed controller is cutting the power = something breaking the motor or that you have put on a way to big propeller. you will see the battery condition. It can be connected to the battery balance connector to show the voltage when you run the motor up to speed. The 2-6 cell battery monitor is only 2 dollars at HobbyKing and something i need to check my batteries all the time. Throttle end points might need to be set in the transmitter. Bad connection in the motor leads. What battery are you using? If you are using a bigger motor with the stock battery then it will not run full rpm. It may even cause the voltage to drop so much that it will cut out. I upgraded to a brushless 480 and 40 amp esc on my super cub and when trying to fly on the stock 15C battery it would spin up and then the throttle would cut back to about 1/2. I realized that the battery discharge rate was too low so I tried a 2200 30C battery from my helicopter and it ran perfectly. A picture is worth a thousand posts. Snap a few shots of your setup with labels showing so we can read it. The larger battery will help if you are reaching a voltage cutoff, but you really need the higher C rating to maintain the speed you are looking for. Thanks for the nod robschonk. I'm also thinking low voltage cutout (LVC). The speed controller unit has some jumpers in there (pins on the board, which you can connect by shorting them together, could try a bind plug if the jumper plug has gone missing). Get the jumper plug (or solder them together) onto port 3 - this makes the speed controller (ESC) think that you have a 2 cell battery and will take care of the LVC problem (I see you have a lipo alarm). I also see the receiver/ esc unit has Anti-Crash Technology (ACT) - you'll want to disable this as it could be the snow is confusing the sensors. Hope it gets flying soon. Your brick looks kinda melted to me. That metal strip across the top is the heat sink for the ESC, and its been run hot. The factory props with the yellow tips are 10X8 which were on the original nicad version, and are now supplied for the float version, as opposed to the 9X6 that comes from the factory. The manual warns against running the 10X8 too hard. It's mostly for generating thrust for getting the float version off the water. If you're still getting control signals, you could get by with installing a new BRUSHED ESC, or try the 9X6 prop, which wont draw as much current, but sounds to me like its time for an upgrade. Did you convert it from the nicad version? There's a jumper in your brick that you need to move to allow it to run on different voltages. It's definitely hitting the low voltage cutoff. As said before, the ESC has probably flown it's last. You can try the jumper but if it's thinking that you have a 2S battery instead of a 3S then it will draw your battery down too much and roast the battery. I ran the yellow tip props exclusively with no problems. My brick finally quit when I submerged it in water during a float flying crash. That's when I went brushless. Those bricks aren't the most durable. I was wondering about the battery as well, usually they're marked how many cells they have on the tag but I can't see it on that one. I would imagine the battery is fine though if you have flown it like that before. I know the nimh planes were white with red decals, the LP (lipo battery) planes had the blue decals. If you had the nimh battery and you put in a lipo it would confuse it but I think it would be the reverse of what you have going on. I would suggest checking the voltage at the battery first, make sure you have a solid 11.1 volts before going any further. Looks like you have tried both batteries with the same result. Could be a problem with your charger. It looks just like a bad battery in the movie. Can you put a volt meter on the back of the battery connector and run it on the bench to see what your voltage is dropping to? I'm sort of suspecting a motor the more I look at it. If the motor is drawing excessive current it will drop the voltage on the battery. I suspect this more with the old battery though as the high discharge nanotech would be able to recover better. Still, that would tell you a lot. Then you will know if it's really hitting the low voltage level or if it just thinks it is. If it is drawing it down too far then it's pulling too much current and it probably has damaged the esc. Take a close look at the esc/Rx brick. Look for any deformation, signs of excessive heat. Those do go out. Like I said you can try to fool the esc low voltage cutoff, but you risk your batteries doing that. The nice thing about the LP cub with the DSM2 controller is the inexpensive conversion to brushless. I'm sure that's not what you want to hear but it's well worth it. If you had the other version with the long antennae and cheap controller then you would also have to buy a transmitter. With this it's just an orange rx for 6 bucks, a motor and esc and build your self a mount. Relatively cheap. I'd say under 50 bucks and you'll have better run time and more power. I hope some of this helps. ok 10x8 prop came with rtf all what i have posted as picture plus dx4 tx was in the box. now for taking off on snow i need 10x8 or it will not get off the ground. cause in the summer i use 9x6 prop. also sorry i dont know what nicad version?? If your cub has blue stickers, it's the lipo version. The yellow tip props are ok for short bursts of power, then back off the power. It looks like your receiver/ESC has overheated. And get back in the air, but I think you'd be much happier with the receiver/motor upgrade shown in Ak Flyers article. No problem. I don't know what you know so I'll lay it all out. First off, good move ditching the ACT. It's also known as Always Crash Technology. After you get the basics down it does more harm than good. The 10x8 makes a HUGE difference. Even in stock form, with a little headwind and the 10x8 mine would almost hover. I personally only flew with the 10x8 because it performed so much better. You definitely need it with floats. I never had a problem running the bigger prop, only when I dunked the plane in the water and fried the electronics lol. The old red version of the cub came with red stickers instead of blue and used older battery technology. The LP cub that you have comes with newer better LiPo battery technology hence the name LP Cub. If you bought the RTF Ready To Fly version that comes with the DX4 radio then you are using the latest version. It also means that the signal type the radio and receiver use is called DSMX. The old version was called DSM2 and the DSMX components are compatible with DSM2. More on that later. 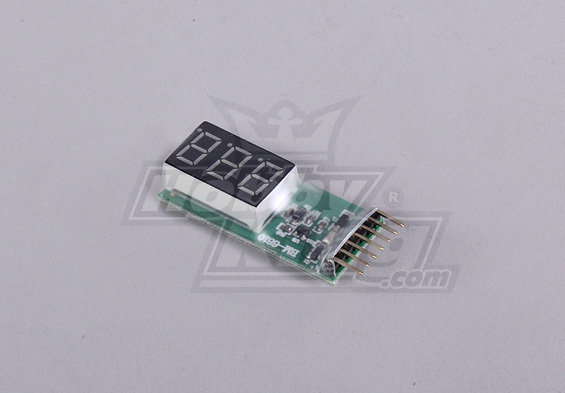 The ESC Electronic Speed Control has a low voltage cutoff designed to do two things. First it protects the battery from being over discharged which damages LiPo batteries and prevents the charger from being able to recharge them. Second and more importantly, it shuts down the motor while there is still enough power to run the controls. This makes you land while you still have control of the plane. However, if you shut the throttle down and bring it up again it will give you a short burst of power and then cut off again, just like it's doing in your video. If you continue to run the motor past the cutoff point you run the risk of over discharging the battery. Once you notice a drop in power you are best off landing anyway but I find that I like to run to the cutoff and practice dead stick landings. The cub has such a nice glide slope that it really doesn't matter when you lose power as long as you are close enough to make a turn and put her down. I fly the first half of the battery all crazy and low and then the second half I bring it in closer and usually a few mistakes high and wait for the cutoff. Good practice for when my nitro engine cuts out lol. The battery that comes with the plane is a 15C battery. That means that it can let out a max of 15 times the capacity of the battery, or 19.5 amps continuously. The nano tech can let out 32.5 amps continuous or 25C. The second number on the battery is a burst number, or short duration discharge rate. What this means is that the batteries you have can produce roughly 19.5 and 32.5 amps without dropping voltage immediately. That's new, never used in ideal conditions. The 1300 means that they can let out 1.3 amps total before being discharged. If you run full discharge on the 15C battery, you can 19.5 amps per hour with a capacity of 1.3 amps so your run time will be about 4 minutes. Since you don't use full power all the time and that motor shouldn't draw full capacity anyway, you can usually get about 10-15 minutes run time. This isn't all necessary to know, just FYI down the road. Where this is important is when you draw more amperage than you should due a bad motor or esc. Then you exceed the amount of amps the battery can provide without dropping the voltage. So, if your motor is shorted and now draws 40 amps (just tossing numbers out in the wind for example) then your batteries can't provide that power without the voltage dropping below the cutoff. The ESC will try to provide whatever the motor is asking for so it says give me everything and the battery can't do it so it shuts off. Without the voltage cutoff the motor would get hot, the ESC would be handing waaaay to much current and get hot causing the plastic to melt and it would eventually ruin your batteries. Even with the cutoff in place, the short burst of power will still cause a lot of heat in the esc and over time will melt the casing. To check for this, you can install a watt meter inline and measure the amps coming out of the battery. That will tell you the demand. You can also take a volt meter and stick the leads in the back of the battery connector and run it to full throttle on the bench and see what the voltage is doing. If it's dropping significantly then you either have a bad battery or something else is wrong. If it does in on both batteries then you need to look at the motor and esc. You also need to check all of your connections. I really should have mentioned this first. If you have a bunch of broken wires at your battery connection on the esc side, which is really easy to have since you have to stuff it into the battery box so tightly then even if everything else is working fine, you still won't get enough juice to the esc and it will see low voltage and cut off the motor. It would see it no matter what battery you use since it's on the esc side. The servos won't notice because they use such a small amount of power. So...I'd check those things first, also look for any burnt or melted or unusually soft covering on all the wires in and out of the esc as well. All wires in fact. Those are signs of heat caused by too much amperage. Either high resistance (bad connection, broken wire) or a short (bad motor or esc, wires rubbed together). Let us know what you find or if you need more help in testing. The DSMX/2 protocol your system uses is great. You'll get a lot of opinions on this but I use it on every single plane and heli I fly with no problems. Best of all you have half of what you need already with the DX4. You would only need a new receiver, ESC and motor and with a little balsa or other scrap material you can have a mount, or they are available commercially. I have an article written on how I did my conversions, but that's for later if you decide that's what you want. It would be more expensive than replacing the motor, but if you have to replace the esc/rx (receiver) brick then it's a wash. You're better off upgrading if you have to replace the brick. Hope that helps some. Let me know if you have any more questions and I'll do my best. <------wOW!!!! Just WOW!!!! That right there is commitment to a fellow flyer in need.....well done AK....I will let you know my take on it when I get finished reading....sometime this evening . There have been state of the union speeches with far less dialogue....and needless to say far MORE bs than this. Even though this is not my thread or issue I want to thank you for the time you are taking "to lay it all out there" for those in need....see this is why I love flitetest forums and (most) the members thereof. Thank you. I'm just paying it forward so thanks go to those that helped me so now I can pass it along. Hopefully everyone who reads this (assuming I didn't drink the wrong koolaid this morning) will get something out of it they can pass on to someone else who needs it as well. If your wires and connectors are good, I'm leaning towards a problem with the motor drawing too much amperage. Of the esc brick just failed. It happens. As long as it's a 3S 11.1 volt battery, you won't have any trouble. You could put a 6000 mah battery and it will act the same, just weigh more and run longer. The cell count/voltage determines how it will run, the mah rating (in this case 2200) determines how long it will run that way. I still suspect that you have an issue, still leaning towards motor or connections, the larger battery may simply be covering it up. If you decide that you want to run a 2200 battery all the time I did an article on Cub Mods where I modify the battery box for just that. I would run it like that for a while on the bench under load, and check for heat building in the wires or motor. If anything is getting hot then you found your problem. I would also check your other batteries. Which charger are you using? so this brings to question the condition of your other two lipos that are dropping below voltage cutoff. It sounds as if they only had light use so why are they in such bad shape already? What is your charging procedure? Are you following a 80% rule when discharging or running them too far down? I am just curious. Invest in a computer controlled charger like the accucell 6. Only around $20. That thing there has a less sophisticated charging method which is likely to slowly kill your batteries. Charge at less than 1C, that is an 800mAh battery is charged at 0.8 Amps.